Justice Ranjit Singh Commission of Inquiry said the 'premis' wanted to create communal tension and also plotted the murder of two Sikh preachers, Baljit Singh Daduwal and Harjinder Singh Maji. CHANDIGARH: The 200-page injury report of Justice Ranjit Singh Commission of Inquiry into incidents of sacrilege of the Sikh holy book Guru Granth Sahib three years back has pointed out that it was allegedly Dera Sacha Sauda which had a role in these incidents as they wanted to create communal tension in the state and also plotted the murder of two Sikh preachers, Baljit Singh Daduwal and Harjinder Singh Maji. Sources said that the report which was submitted to the Punjab Chief Minister Capt Amarinder Singh yesterday by the Justice Ranjit Singh has corroborated findings of a Special Investigation Team (SIT) of the Punjab Police as it points out that to create communal tension in the state in 2015 the `Premis' or followers of Dera Sacha Sauda had a hand in these sacrilege incidents. 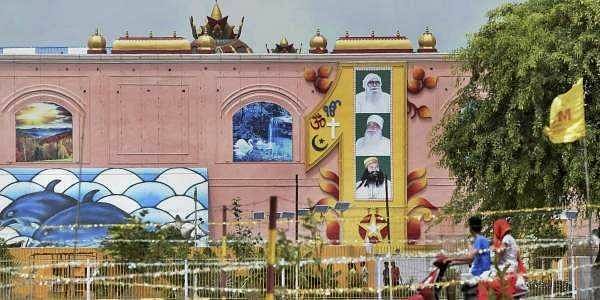 It claimed that the Dera had formed a team of ten followers who were given this task by three members of the national committee of the Dera. For the act of sacrilege in Bargari, ten followers were given the task and three people (followers of the Dera) who have already been arrested by the Punjab Police have reportedly told the police about the names of others and also the names of their three handlers Pradeep, Harsh and Sandeep (reportedly members of the national committee of the Dera). An officer alleged that the main conspirator was allegedly one Mahinder Pal Singh and he had further deputed one Sukhjinder Singh and another person Neela for the purpose who were Dera followers. While the others who allegedly had a hand were Shakti Singh, Baljeet, Bhola, Nishant, Narender Sharma, Raju and Bittu as they worked on the instructions of the handlers. Sources allege that the handlers told the followers to paste posters with derogatory comments on Sikh spiritual leaders and also in June 2015 these people alleged stole the Guru Granth Sahib from Burj Jawahar Singh Wala to avenge an attempt made by a supporter of preacher Panthpreet Singh to bring premis back into the Sikh fold and thus tore few pages before throwing the holy book in the drain near Kotkapura thus, violence spread in the state and two people lost their lives. This report is based on the statements of many witness and these alleged accused have also planned to kill Sikh preachers Baljit Singh Daduwal and Harjinder Singh Maji as both of them were vehemently opposed to the Dera Sacha Sauda. Also two cars, two motorcycles, were recovered from the accused in the case, states the report. It is learnt that it was only after the SIT identified the shop owned by a Dera block president that sold the pen and sheets of paper used for printing posters pasted in Bargari village that it led the police to the men involved in the act of sacrilege. The main conspirator Mahinderpal has admitted to the same in his confessions before a court in Moga. The final report on the incidents in Burj Jawahar Singh Wala, Bargari, Gurusar, Mallke and Behbal Kalan villages of Faridkot between May and October 2015 was submitted yesterday. As the Present Congress Government had set up Justice Ranjit Singh Commission of Inquiry in April last year. It had rejected the findings of Justice Zora Singh Commission of Inquiry set-up by the then SAD-BJP Government.